For God sake, you too tell me, who will I call with free 6,000 min? 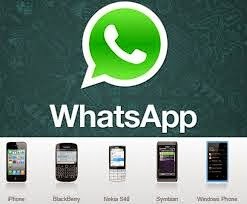 say its unlimited Whatsapp, it should work on all device. account to last your for 30 days. If you have a lucky sim you will get 200mb, 5mb and 1mb making it 394mb. Let me run out of this thread. Good morning prof. Pls how do I make this etisalat payG work on my iphone and how many days will it last for if I subscrie? Etisalat payG will work on iPhone but you must be ready to download heavily if u want to enjoy it. PROF. ARE THIS AIRTEL CODES FOR FREE SUBSCRIPTION? And Bros Yomi what is wrong with 1.5 go of Etisalat? Can you help with the imei of these phones if it will work pls, Samsung S5, S5Mini, S4, Note 3; Nokia Lumia 1520.
are u suing simple server or openvpn..?? unlimited whatsapp is a scam. They wil just give u 25 mb . Pls how many days does the etisalat payG tweak valid for? Yomi pls, i av tried d simple server on android wt d bbcday plan but it did not work. I evn tried it wt anoda sim but same thing. Am sure d settings is correct cos av used it bfor d first time simple server was introduced on ds thread last yr i tink. Wat do u tink its rong. Av dey blocked it or do i need anoda app in addition to simple server for it to work. And your device will be rooted. you can seen it via my email [email protected]. You not gonna believe that the etisalat stuff no dey work for me again..
What kind of ANdroid phone is that? Sorry, the software is outdated… You can get recharge card pins now at a more rate than the software. If it is Bb Imie i can send it to your mail but not Etisalat imei.